Clive: "As far as the characters I played are concerned, there was a practical reason... When I started writing the songs I was cheaper than anybody else around, so it made some kind of sense that I played Leo initially in "She". But I never felt any affinity for that particular role - it didn't really suit me. But when I wrote the story of "Alchemy", I was very aware that the character of King would suit me more. So that was a much easier decision to make. These two characters are the two that I actually sang. Obviously I sing a lot of the background chorus as well and when I do the demos, I sing a lot of the material even if it becomes somebody else's part later on". Clive: "When I was a child my parents had a radiogram. You were pulling the little doors open and there was room for albums on the sides and the record deck in the middle. Being an only child I used to have a lot of time on my own and I used to go through these records. We had a collection of albums like "South Pacific", "My Fair Lady", "The Sound of Music". At that time I did not really think consciously about the genre - I just used to listen to these albums all the time and make up my own stories, cause they did not have proper sleeves. So, I had to imagine what was going on in the story. Thus from a very early age I was listening to that kind of music and my parents used to take me to see some of the musicals in the cinema. I remember being taken to see "Oliver!" and "Scrooge the Musical" and various other ones as well. So, I was brought up on a diet of musicals to some extent." The preparations for 'The Fire and the Quest' are now in full swing as the cast and crew of the new version of 'She' are working hard to ensure the success of the September show. This brand new production, directed by the multi-talented Ian Baldwin, features an entirely new cast as well as a new character and some new material written by Clive especially for that occasion. Whilst a very intense rehearsal schedule is being realised, the costumes are being made and the scenery built. Soon it will be time for 'Alchemy' rehearsals! Clive: "I have attended various ‘She’ rehearsals along the way so far and things are moving along really well. I can see the show taking shape, and making sense! Ian’s vision of ‘She’ is dynamic and exciting. It’s going to be a great show. 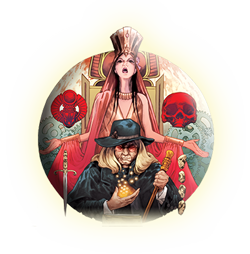 It’s scary to think that ‘Alchemy’ rehearsals will begin very soon… time to re-learn those lyrics... ;)"
We are pleased to offer an additional attraction to make 'The Fire and the Quest' an even more exciting experience. The Ghost Walk will take place on Friday, September 4th from 11 pm to 2 am. During this exciting 3-hour-long tour through the secret nooks and corners of the haunted Cheltenham Playhouse Theatre, we will learn about the history and all the mysteries of the old theatre building. 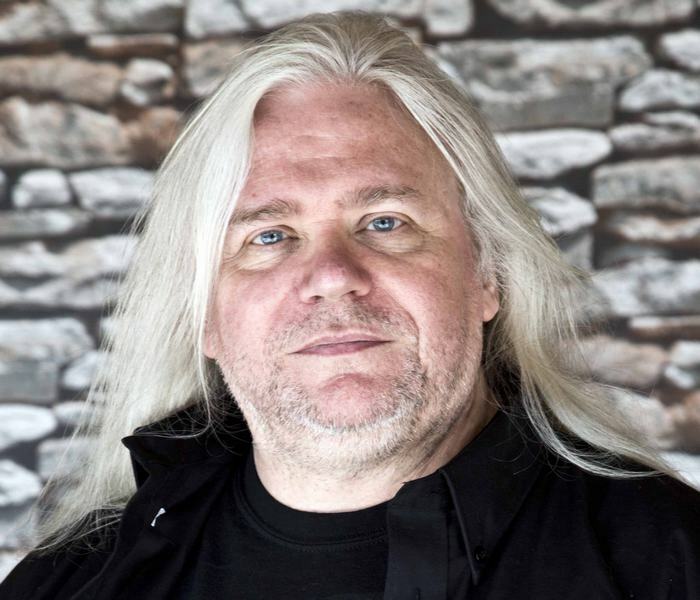 The tour will be guided by Ross Andrews, the Caamora Company excellent singer, the acclaimed TV presenter and the author of numerous books, including "Paranormal Cheltenham". The number of tickets is limited (due to the theatre policy). The tour will take place with the minimum of 10 persons. Clive Nolan Musicals Facebook Group! After some thought, we have decided to change the name of the facebook Caamora Theatre Company Group group into "Clive Nolan Musicals". We hope this way, more people who are interested in Clive's work will find this group and our musical family will grow even bigger! Hopefully, the new name will also help to focus on the main point of the site whilst still embracing all aspects and people involved. 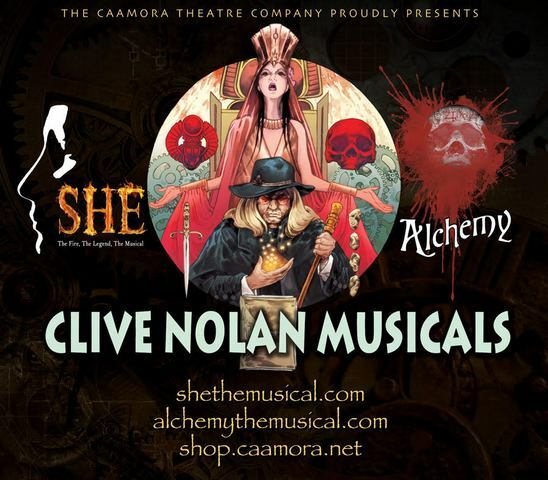 The name of the group changes, but all the rest remains the same and we hope we will continue sharing our passion and enjoying 'She', 'Alchemy' and indeed any possible future musicals from Clive. Clive Nolan 'Hidden Treasure' CD! 'The Fire and the Quest' SOLD OUT!